I'm not a gamer's wife. I grew up playing HeroQuest and Battle Masters with my mum. When I met my husband, he played poker semi-professionally and used to play Magic the Gathering. We both got seriously into MtG for a while and then moved onto board games. I buy most of the board games. My husband is along for the ride. Like Ronja, whose Essen list was an inspiration, I get sick of the sexist twits on who post 'your wife can play this too'... As though all women are interchangeable, identical, and never gamers. So I've labelled this list 'woman gamer' to draw attention. The more visible we are on BGG, the more these guys will realise this isn't a boy's only club. I've noticed countless women on these forums, many running board game clubs or buying sizable collections. With that out of the way, I was inspired to quantify my Top 50 games by the numerous others around at the moment. They're apparently something to do with the Secret Cabal podcast. 3. My husband works extremely long hours, meaning we have little time to game. Thus games that play in forty-five minutes (or even fifteen minutes) get played disproportionately. Twelve plays. One of Reiner Knizia's design philosophies is to remove all unnecessary elements... and then remove some more. Blue Moon is Knizia's uber-elegant take on Magic the Gathering. He stripped out the rules exceptions, the mana, and left the gameplay core - beautiful graphics, interrupt spells and comparing monster stats. The result feels exactly like playing Magic the Gathering, but without the boring fiddly bits. I can't express how much I love this game except that I tracked down every expansion. And I obtained a spare core set to play mirror matches. Most of my expansions remain in shrink because our twelve plays have been with the base game decks. There's still lots of play in them. 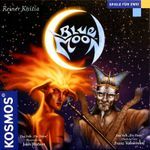 NB: Fantasy Flight Games are reprinting Blue Moon this year, but without the gorgeous over-sized cards. Two plays only The grandfather of area-control games is imitated, but never bettered. It felt as fresh on my first play as on my husband's, twelve years before. And he even remembered the rules. Thirteen plays. Yomi may be the ultimate in elegant two-player duel games. Based on a video fighting game, it uses two poker-sized decks with limited card text. On the first few plays, it seems like rock-paper-scissors. Then you learn the special moves and a whole new gaming vista opens out before you. It's a brain-burning game of shadow-boxing. You dance around your opponent, looking for an opening to pull off a massive card combo or set up a devastating special move. Utterly amazing. After thirteen plays, I feel I've only scratched the surface of the gameplay. As an added bonus, it can be played on a plane or train. Six plays. 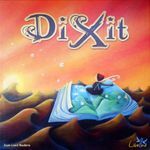 Another game by designer David Sirlin. 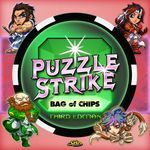 Puzzle Strike is the game Dominion should have been. Like Dominion, it's a deckbuilder, but the resemblance stops there. The idea is to wound your opponent by setting up devastating card combos. There are numerous different characters, each with their own starting deck and special abilities. The theme is strong and the graphics are strikingly cool (if you like Nintendo video games). We've played six times and are at least fifty away from exploring all the game play possibilities. A perfect desert-island game. Six plays. The ultimate heavy card-combo game in a little box. Innovation is silly, chaotic and filled with over-powered cards. At all player counts, it's about setting up broken VP engines, knocking down other people's broken VP engines by nicking their cards and - at higher player counts - bouts of kingmaking. Our last three-player game ended shortly after I threatened to nuke the entire board with fission. Then someone took over the world with robots. And that was just two turns. It's Munchkin or Fluxx for intellectuals - if Munchkin or Fluxx were actually fun. Five plays. Another wonderful game by small publisher Small Box Games. It has beautiful graphics, card interaction, comes in a small box, and plays well with two. The base mechanics are similar to Smash Up, but without the geek-friendly theme. The idea is to control bases by playing soldiers, beasts and oracles, thereby achieving objective cards. Complete enough objective cards and you win the game. It sounds boring, but it's incredibly varied, thought-provoking and fun. Each turn is filled with interesting decisions (how much money to take? which cards to play? which bases to take?) The graphics are haunting and beautiful, and it comes in a small box. Five plays. Lords of Waterdeep on steroids. It's an immensely thematic worker-placement game of dispatching homicidal ninjas to complete quests, despite everything going wrong every single turn. Most complaints about Yedo centre on the randomness of the weapon stacks and the broken event cards. The satisfaction of winning comes from navigating the destructive events, meddling opponents, and unavailable kit to complete the Assassinate the Shogun quest. I've done it once - it was a rush. A delicious two-hour exercise in tactics, blocking and risk management. Six plays, all lasting at least four hours. Mage Knight entered our house and promptly fired Descent: First Edition and Arkham Horror. It is the ultimate epic fantasy adventure game, combining questing, deckbuilding, fighting monsters, casting spells, etc. It's every high-fantasy novel you've ever read in a board game. We always play cooperatively as I suspect it's not great as a competitive game. Although it starts as a semi-solo exercise, it swiftly ramps up to an epic collaborative climax where you assault castles, defeat enemies, and beat up dragons. We have played this game for up to ten hours. It is amazing. It's the game Fantasy Flight Games wishes they could create instead of their dice-rolling bloat-fests. Six plays. I traded this game after three plays, finding it 'meh', and then rebought it again. Three more plays later and I love it. The combination of card drafting, card combos, and resource optimisation is fascinating and full of decisions. It's interesting, replayable and plays quick. Not sure what else to say except it's got amazing graphic design. You have to play it a few times to understand the cards, and to understand that the game is about the cards and not crystal conversion. If you've discounted it after one or two plays, try it on Yucata.de. Apparently, the base game sustains at least a hundred plays. Six plays. A silly game of building ships very quickly and watching them blow up. And laughing at other people building ships with no engines or storage facilities by accident. You either find that funny or don't. It is good fun with two - like a party in a box. At least two plays (some unrecorded, many on the iPad). 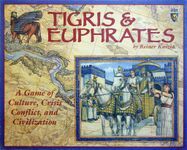 Some people find Tigris and Euphrates unthematic. I'm not one of them. It's the essential civilisation-building game. You expand your civilisation, build temples, have other people take them over, and so on. No unnecessary bloat, no plastic figures, no fiddly rules. Just pure elegance. Five plays. The only party game we own. We've introduced this to countless people, I'm not bored of it yet, and only one person didn't like it. It's the perfect psychological 'getting to know you' game. It's all about predicting how other people will interpret beautiful artwork, thereby understanding their essential psychology. A much-more elegant way to truly know someone than games like 'have you ever', which rely on brute-force crudity and sexual shame. In a society where people over-share, games that rely on sexual embarrassment are increasingly redundant. There is no shame anymore. Three plays. The ultimate 'roll huge neon dice and hit silly monsters and shout loudly' game. It's great for non-gamers and people who like large fighting monsters, which has to be pretty-much everyone. King of Tokyo and Zombicide are the only modern board games my mum genuinely and visibly enjoyed. Gaming with my mum is great. There are some decisions, which is nice. Twelve plays in person (at least 20 on iPad). Ascension was designed by serious Magic players, which may explain why I love it. It's a deckbuilder with simple mechanics and numerous tactical possibilities. The base set ran out of replayability pretty quickly, but the expansions added new ways to play. For example, the latest cycle introduces a new energy currency with the potential to set up massive combos on-the-fly. It's easy to pick up and play and, for me, more intuitive than Dominion. I also love the line artwork. It's hauntingly beautiful. Eight plays. My first few plays were 'meh'. I didn't understand what it added to Through the Desert and it was terribly dry. After three or four plays, it opened out onto a new level of gameplay and it's now among my favourite games. It appears simple - lay down lines of houses - but the random card draw, bonus tiles and special abilities add enormous strategic and tactical depth. A modern semi-abstract classic. Easy to learn, hard to master. Anyone who discounted it after the first play should give it another try. TI3 players who slag this one off have a) too much time on their hands; and b) a love of unnecessarily fiddly rulebooks and chits. Eleven plays. Final Fantasy Tactics: The Board Game. 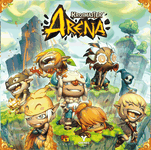 Characters with special powers battle in an arena in under sixty minutes. The character models are painted, cute, and the game features cardboard three-dimensional crates and trees. Five plays. To my shame, I played this five times in quick succession and haven't played it since A bunch of new games arrived - that's my only excuse because I love this game. It's kinda Mage Knight-lite, a ninety-minute game of deckbuilding and questing around a board. You fight monsters, buy spells, and complete quests. The theme is quirky and utterly charming, and the cards have some of the best flavour text I've seen. I've got (but haven't playtested yet Again, my shame) several additional expansions and hope Gryphon games release them at some point. Three plays. I'm unsure how Keyflower will withstand numerous plays, but - so far - I love this game. It crams an entire farming/route-building/auction/secret-mission euro into forty-five minutes with two players. Most of the game involves working out what you can achieve given there are only four turns. And then trying to do it. I nearly traded Keyflower because I thought it was 'too short to achieve anything' and then realised this was a feature, not a bug. It can be played as a weeknight game and feels like a 'proper' game, not a super-filler. The graphic design is stunning. Juliet Breese's graphics are full of quirky details and the whole game feels like a labour of love. Five plays. Rattus is El Grande, but for two players with cartoon rats, role selection and a smattering of chaos. It comes in a small box and is super-filler length (about 40 minutes). Needless to say, I like it. It feels meaty and satisfying for the game length. I like choosing character cards to set up random combos, blowing up rats under my opponents, and generally doing the area-control *thang*. Three plays. I like fighting, I like giant monsters, and I like auctions. Cyclades is an Ameritrash game if Ameritrash games had decent mechanics, no unnecessary chits, and auctions. Like Eclipse, it's a hybrid game and an excellent one. The only downside is that you can't wipe your opponent off their last island. That's a bit of a bummer really. Five plays. BattleCON, like Yomi, reproduces a two-player fighting video game. It's less elegant than Yomi, featuring tokens, extra special abilities, and a board, and - for this reason - I don't rank it as highly. It's harder to pick up and play than Yomi, but feels somewhat similar, which I suspect means it contains 'bloat'. That said, it's great fun. With the White Moon expansion, Ghost Stories is probably our best non-epic cooperative game. It's thematic, nightmarishly challenging, tense and creepily atmospheric. Each turn is full of decisions. Do you save villagers? Sacrifice a villager to defeat a monster? Risk a haunting to take additional tao tokens? It's agonising. 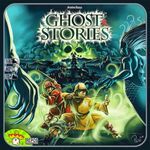 Ghost Stories is unlike any other cooperative game we own, and well outside the generic 'draw card, resolve event, move' mechanics of Pandemic and its imitators. Twenty-two plays. Yes, twenty-two plays. Our friends like this game. We like this game. It's like cooperative Magic the Gathering. You each play a hero or hero deck, you battle bad guys in environments. You can mix up the baddies, heroes and environments for replayability. The heroes all play differently and you can set up massive combos with some of the decks (e.g. The Scholar and Argent Adept). The theme is extremely strong and much better than the licensed superhero games. The artwork is quirky and idiosyncratically cool, and the game generates hilarious stories (e.g. fighting crime lords in a primeval swamp full of T-Rex). The only downer is that no one has created the real comic off this game. I'd read it! It's also pretty maths heavy - there are LOTS of card interactions, which we track with poker chips. Lords of Waterdeep isn't terribly original, but it's exceptionally well-executed. It's basically Caylus, if Caylus was accessible to non-gamers and had a light fantasy theme. I've taught this game to numerous people, including newbie gamers. It's a brilliant gateway game that has enough bite to be appealing to strategy gamers. It's easy to learn, but interesting, with an appealing quest mechanic. 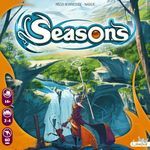 Infinitely better than Stone Age, which is usually recommended as an introduction to Caylus-like games. I didn't have many expectations of this game when I traded for it, but it's vastly surpassed them. Ignore the naysayers - this plays as smooth as butter, and scales well from two to five players.